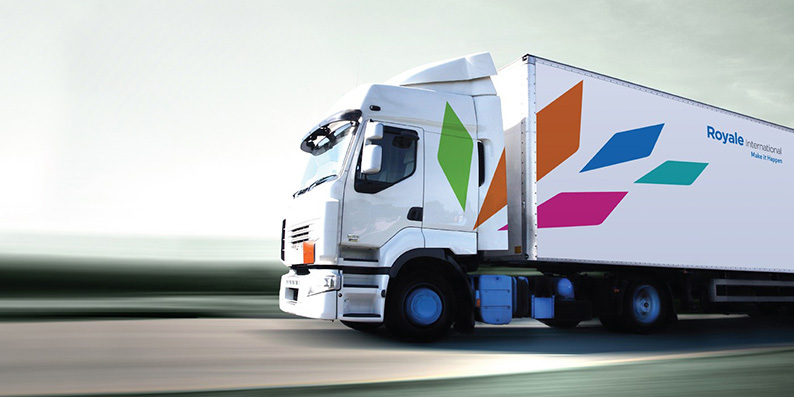 Royale International Group is a fast-growing global provider of integrated courier and logistics services. We discussed with their CEO, Dean Locke, what keeps Royale International – and its clients' shipments – on the move. 01 Your industry is inextricably linked to many others – shipping, airlines, warehousing, eCommerce, to name just a few. This gives you insights into business trends and economic performance. What can you share with us on this? Being uniquely placed within the supply chain, we are generally in a positon to see trends – particularly in the retail sector – ahead of the broader market. We commonly see this in the volumes of approval samples that we may transport for the larger high street retailers, this generally being replicated in the final orders eventually shipped from the factory. Factors such as this enable us to judge future economic performance and position ourselves accordingly. We see this on both a sector basis and also a market-to-market basis. 02 What is your outlook for 2016/17? Where do you expect to see growth? We have seen a definite slowdown in volumes coming out of China through 2015 across all markets, and we would expect to see this continuing through 2016. With the overall uncertainty in Europe, political change in the USA, and other global economic factors we can see 2016/17 being a challenging time for everyone. In terms of growth for our business we are very focused on our Time Critical Services, and we see scope for further development there. Also, as everyone is aware, eCommerce volumes are growing and we will certainly see more growth in this area. The more traditional services of airfreight and seafreight are in for a very tricky time with the overall manufacturing slowdown. 03 We helped Royale International to reposition itself for the future – while that is still new, how are you seeing it drive business growth? 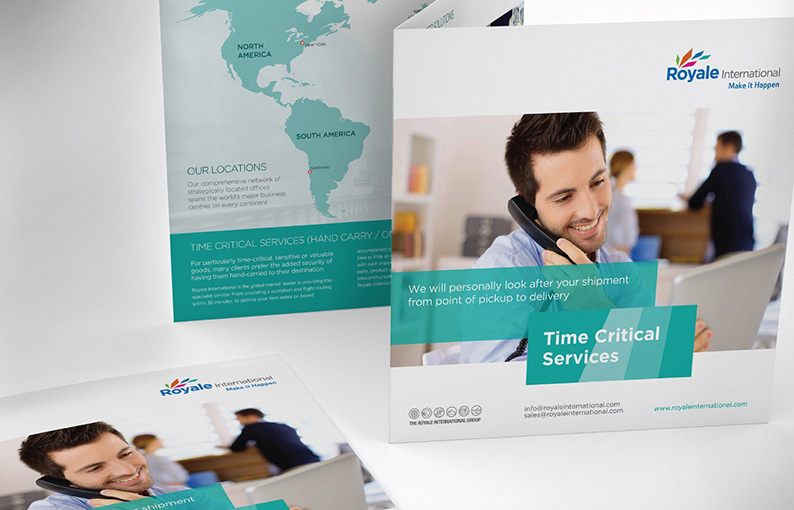 The repositioning and refreshing of our brand has had a number of immediate effects both internally and externally. From an internal point of view we have found the exercise to be surprisingly galvanizing for the team as a whole. By clearly defining our different service offerings we have found that this has refocused the teams and given added impetus to their forward development. The rebranding has also highlighted our core values and has given us an onwards-and-upwards feeling of momentum throughout the company. Externally we have received very positive feedback from both clients and the general public alike. Our “on the street presence” in the form of our vehicles and delivery staff has been greatly enhanced. The cleaner more modern look of the vehicles is having a very positive effect on our image, and in a world where the number of delivery vehicles on the road is on the increase it is becoming more important to differentiate yourself from the crowd. These elements are extremely important and form the frontline of the brand with regard to the client. All of these factors will greatly assist our sales and marketing teams when promoting the business and ultimately increasing our client base. 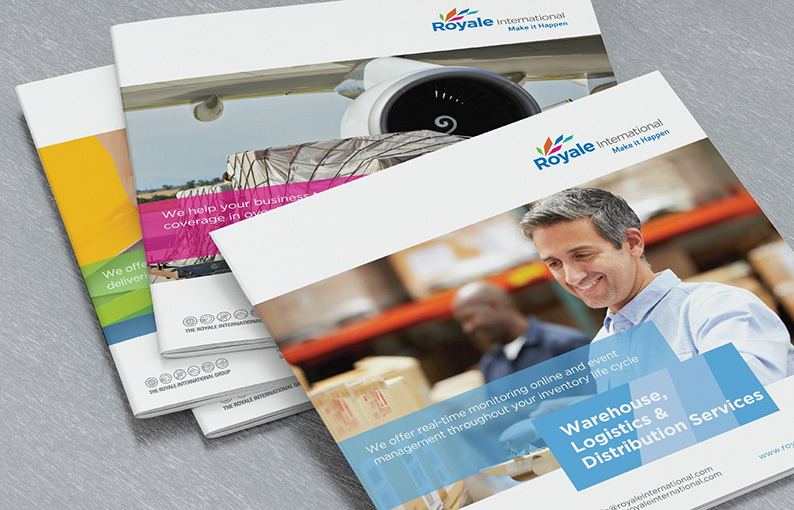 04 There is a lot of really amazing technology used by Royale International to ensure that packages arrive on time – much of it behind the scenes. But keeping business very much personal and based on trust has been one of the key drivers of your growth. Can you speak a little bit on that? We place our flexibility as one of the key drivers for the business. We adopt a very client-centric view and are very open in our advice to our clients. It is this approach, which we have honed over the last 23 years, that allows us to build a strong bond of trust with our clients. 05 You have a lean and agile management team – able to move fast. This agility was also reflected in the brand strategy. How important is it to move fast (no pun intended!) in your business? The ability to be able to make quick decisions and implement those decisions effectively is a cornerstone of our culture. Companies regularly engage us to look at specific problems that they are facing. We pride ourselves on our ability to look at issues objectively and creatively to find a solution that is realistic for all parties involved. This is one of the qualities that set us apart from our contemporaries. The experience of the management team allows this flexibility. Coupled with a very clearly defined structure, this enables the team to expand and develop client-specific solutions and products.